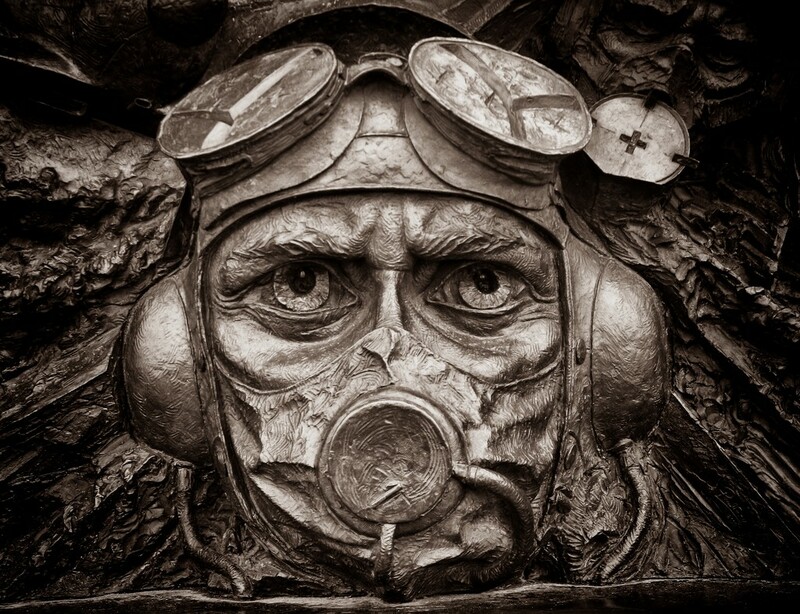 A detail from the amazing Battle of Britain monument on the Thames embankment. It is an amazing piece of art and with so many stunning details. It also brings home the enormity of the achievement and the sacrifice that the RAF pilots made to defend Britain in the Second World War. Amazing detail & fitting memorial. Is it carved from wood? @leggzy No it's cast in bronze. This is just one small detail from a huge sculpture. Well worth a look if you are on the Thames embankment. Amazing! The detail is superb. A remarkable sculpture with such significance. Fantastic piece of work. Well captured!! A incredible piece of work and a fitting memorial. Stunning pic-a fav! Just looked up the memorial and ... wow! You captured this small element of it perfectly. Well done!